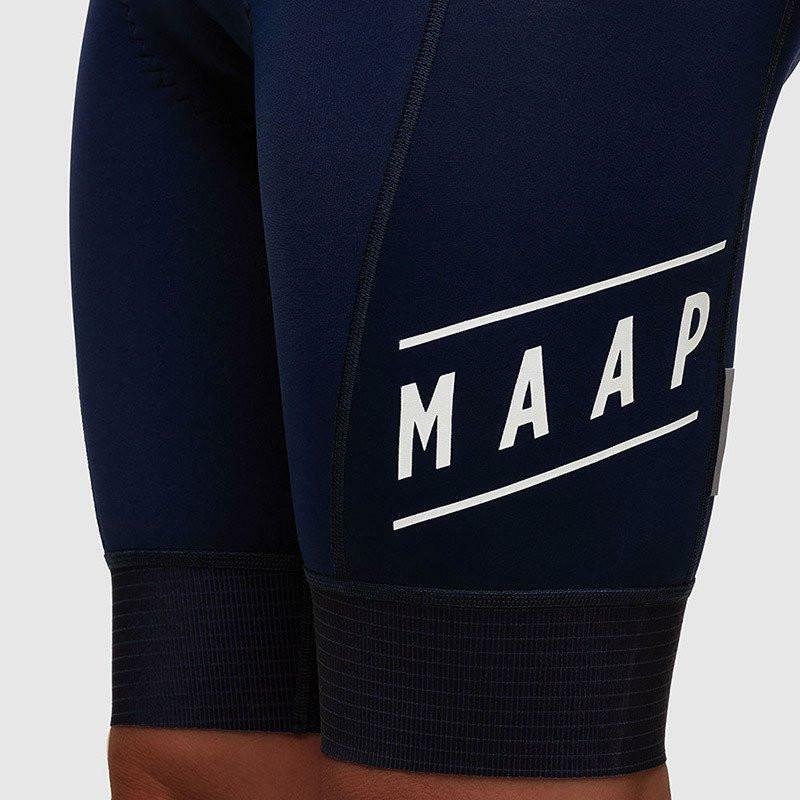 MAAP's ultimate cycling bib short, equally well suited to racing or day-to-day use. The main fabric has tremendous compression and moisture wicking properties and is dyed a deep matte navy for a quality look and feel. The hem uses highly compressive double bonded lycra fabric, which holds firmly in position and features a laser cut edge for a clean look. The market leading 3D pad is top of the range and stays comfortable in excess of 6 hours in the saddle and includes anti-bacterial and anti-odour properties. 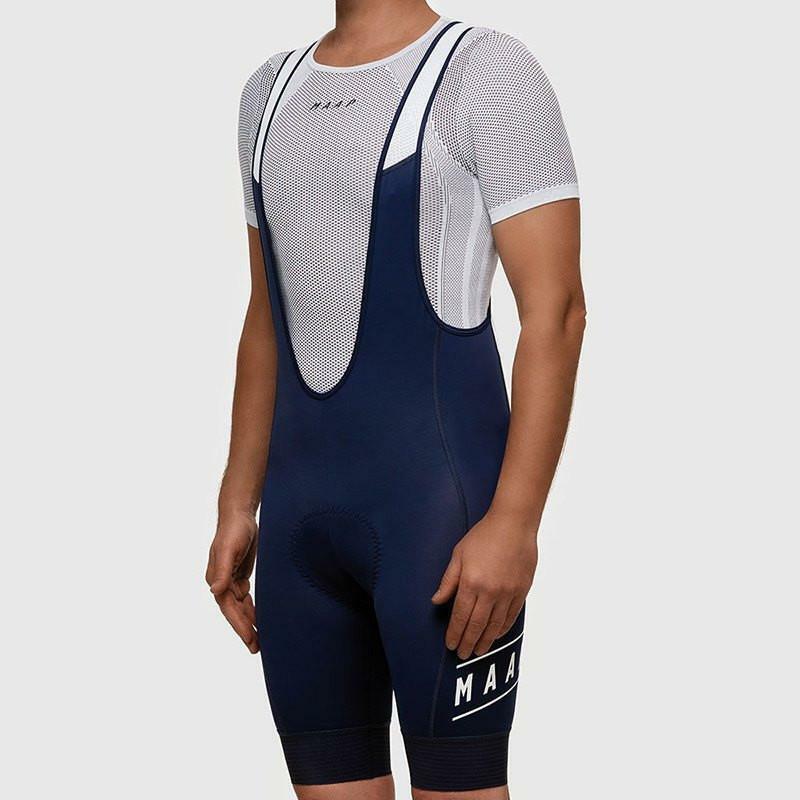 MAAP's signature fit gives great support, and is cut slightly longer in the leg. Fit is true to size and designed to be worn tight.